Education in Catholic schools focuses on the development of the whole human person: intellectually, physically, socially, emotionally and of course, spiritually. 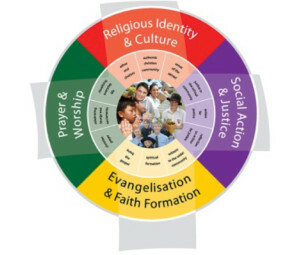 The distinctive religious dimension of the Catholic school is manifest in many ways, one of which is the school’s Religious Education programme. This is an integral part of the school’s curriculum and takes a number of forms. Religious Education in the classroom setting is approached with the same educational methodology and seriousness as any other Key Learning Area within the school’s curriculum. Teachers develop and tailor for their students a Religious Education program from the curriculum documents endorsed by the Bishop; they collaboratively plan and teach Religious Education lessons using a variety of engaging and practical strategies, many of which are also used in other learning areas; they assess the content and skills which have been taught; and report regularly to parents. Religious Education within the Catholic school is of course not confined to ‘official’ Religious Education classes or liturgical occasions. 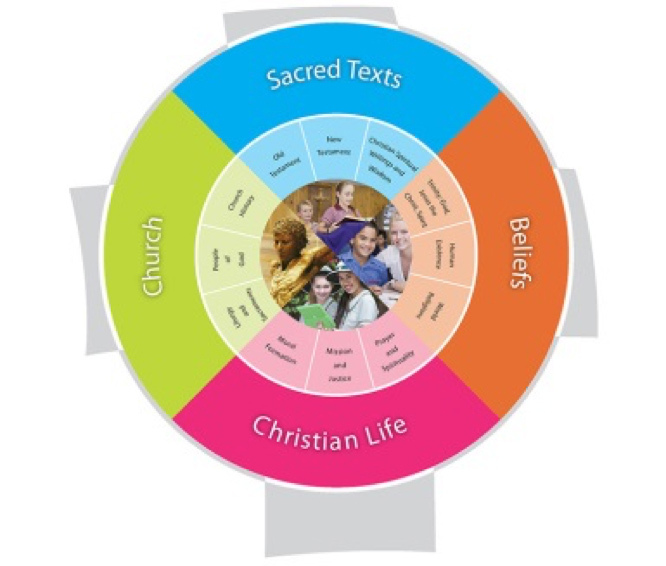 Christ is at the centre of all endeavours in Catholic education. As believers faithful to the Gospel and attempting to live out Christ’s mission in the world, the members of the Catholic school community express this Christ-centred vision in all aspects of school life. Actions in the playground, conduct at sports, positive behaviour programme, enrolment policies, pastoral care, relationships between staff, students and parents and classroom teaching, all reflect this core belief. The religious dimension of the Catholic school is therefore present and underpins all the activities of the College community.